Dustin Wilkes-Kim is a senior at the Robert McDuffie Center for Strings studying with Amy Schwartz Moretti, David Kim, and Robert McDuffie. He graduated from the University of North Carolina School of the Arts High School in May 2014. He has participated in the Rome Chamber Music Festival, the Innsbrook Summer Music Academy, the Meadowmount School of Music, the New York String Orchestra Seminar, the Brian Lewis Young Artist Program, and the Aspen Music Festival and School. 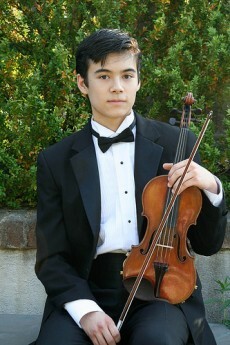 He also took a five-week violin-making course at the Violin Craftsmanship Institute at the University of New Hampshire.